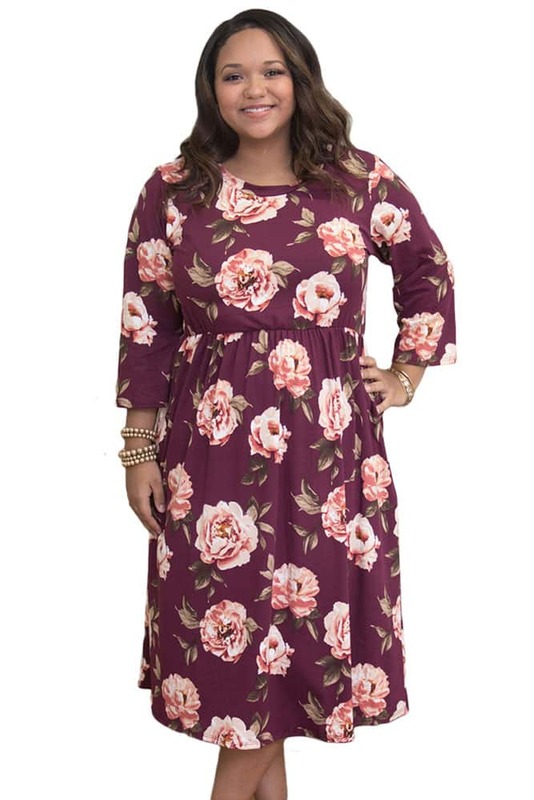 This beautiful floral dress is made for gorgeous fall afternoons! 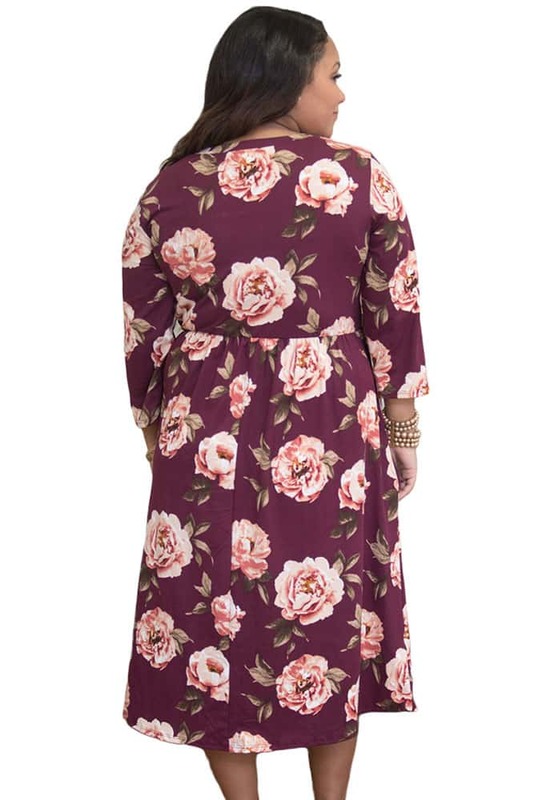 We are in love with the beautiful floral print and it’s such a gorgeous floral for fall! 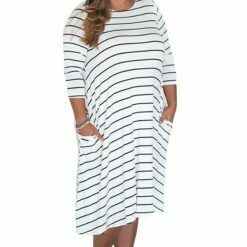 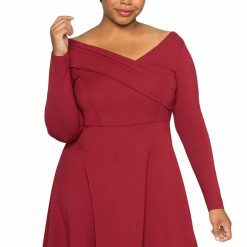 The material is so wonderfully soft – you’ll love wearing this all day long! 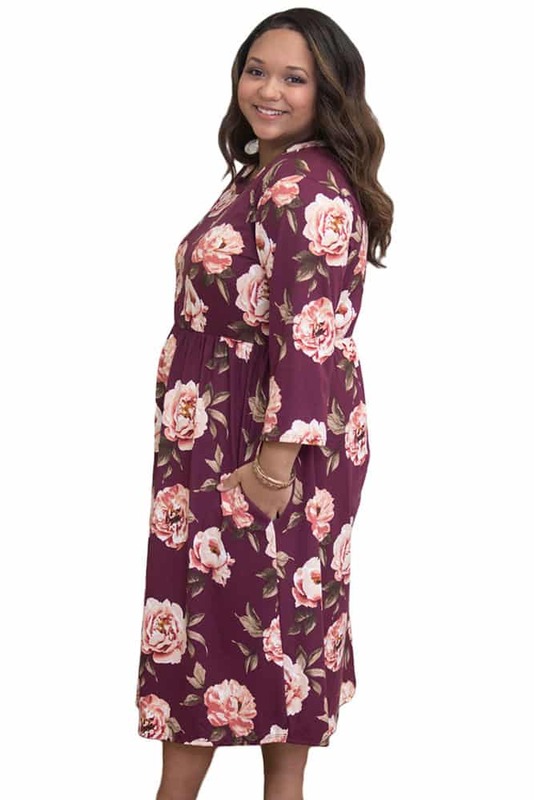 The bodice features a higher neckline and cute 3/4 sleeves, while the beautiful midi length is simply perfect for layering with boots and leggings! 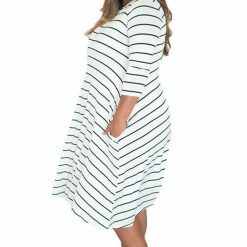 It even has pockets on each side and elastic in the waist for some wonderfully practical details! 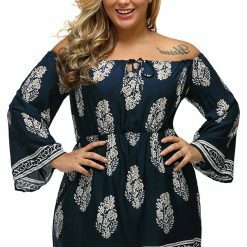 Just add booties and a statement necklace to complete this darling look!